On April 3, 2000, three basketball players from Flint, Michigan, nicknamed “The Flintstones” led the Michigan State Spartans to their last national title. The Flintstones — Morris Peterson, Mateen Cleaves and Charlie Bell — competed against each other on three separate Flint high school teams. Eighteen years later, in 2018, Flint has seen a swift decline in population as the result of an ongoing water and financial crisis. 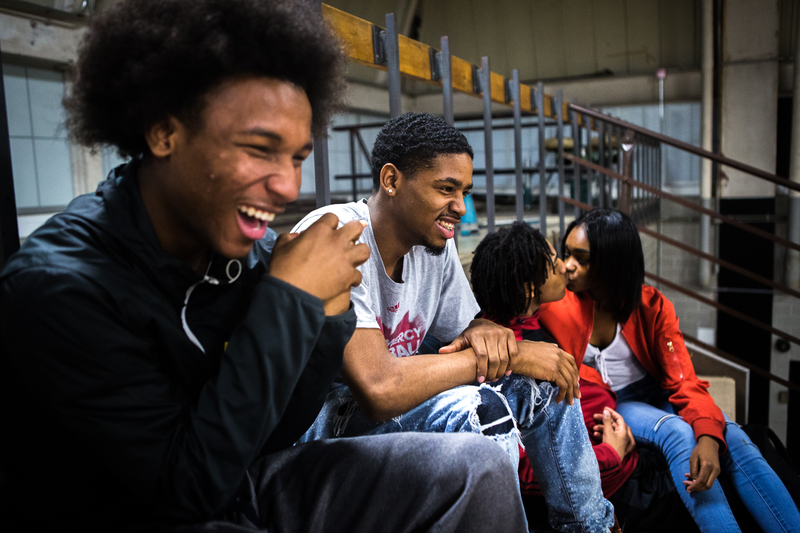 Flint high schools have been closing one by one, and there is now only one high school basketball program left in the city: the Flint Jaguars, the result of Northwestern and Southwestern high schools merging in 2017. The team’s inaugural season has not been without its challenges. The Jaguars began their season with 14 players and by their last month were down to eight. 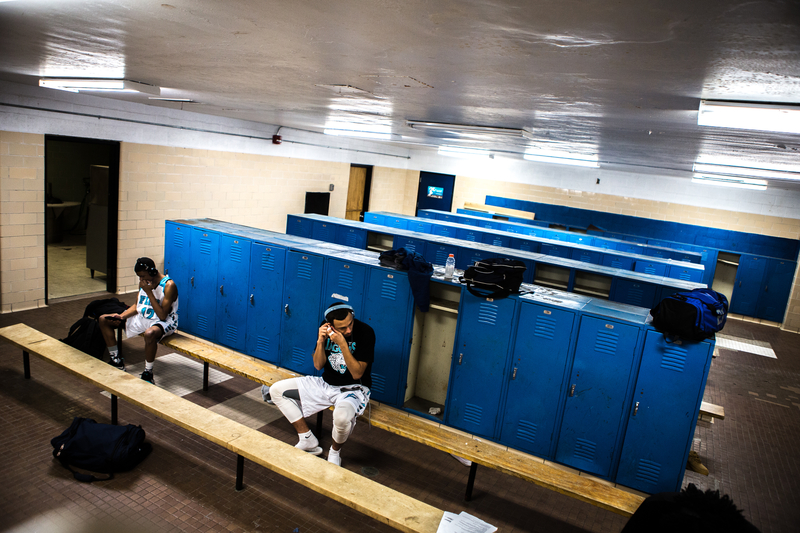 Some players left because they had a hard time finding rides to practice at Southwestern Academy from the north side of the city. One of the team’s best players, according to Hightower, had to stop playing after a family member was shot in a drive-by shooting. 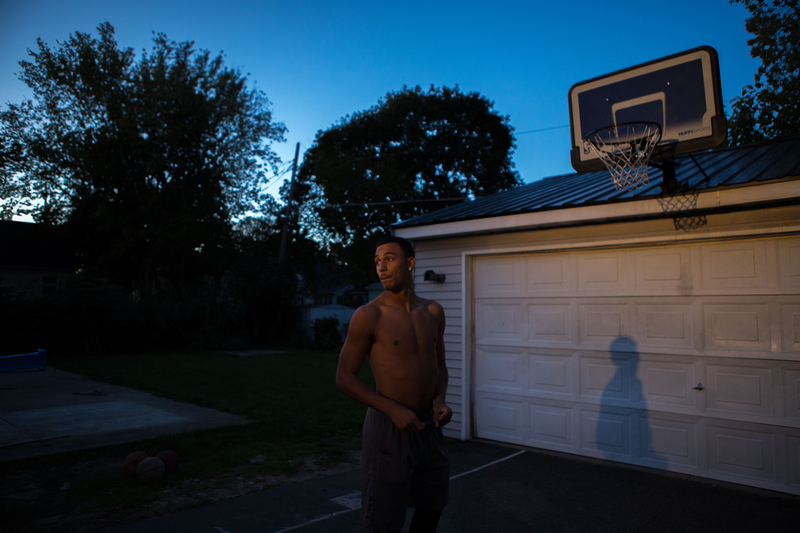 Trey Huddleston, 18, plays pickup ball in his grandparents’ driveway in Flint on Oct. 19, 2017. 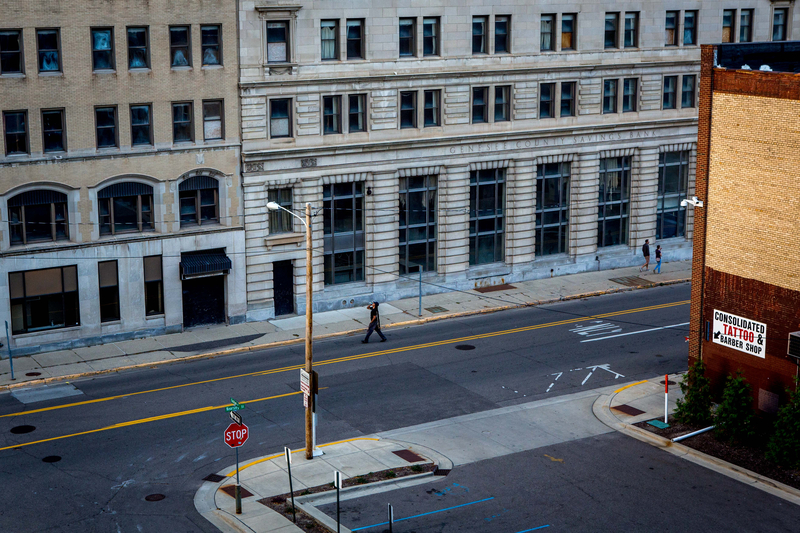 Downtown Flint, Michigan, Oct. 23, 2017. 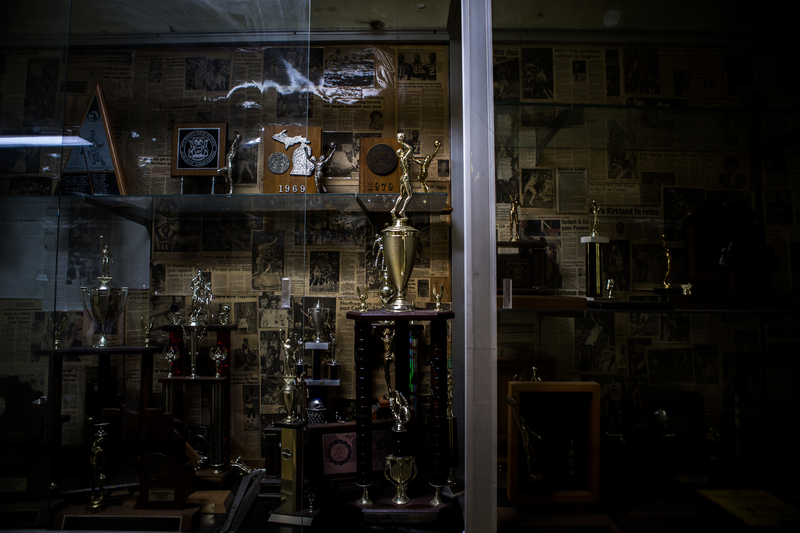 The trophy case at Northwestern High, which has announced its closure at the end of the school year, leaving just one high school in the city of Flint. 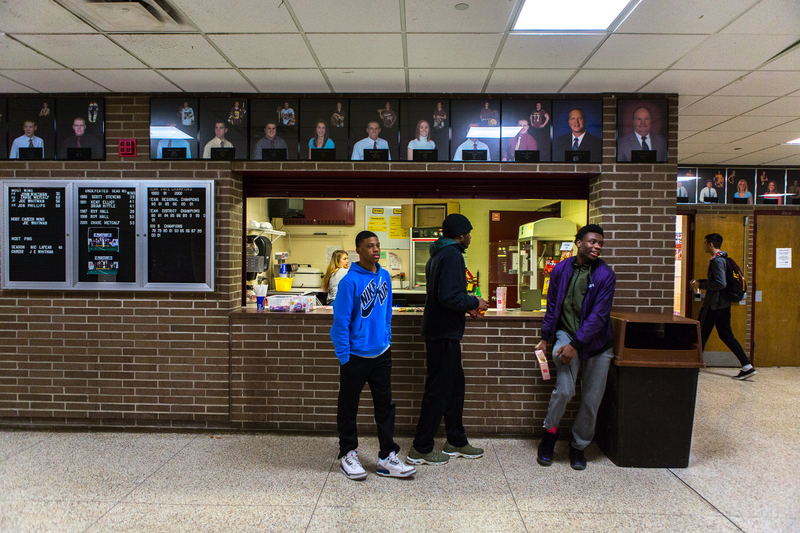 Varsity Jaguars players take a trip to the canteen in Davison while waiting for the junior varsity game to end on Feb. 18. 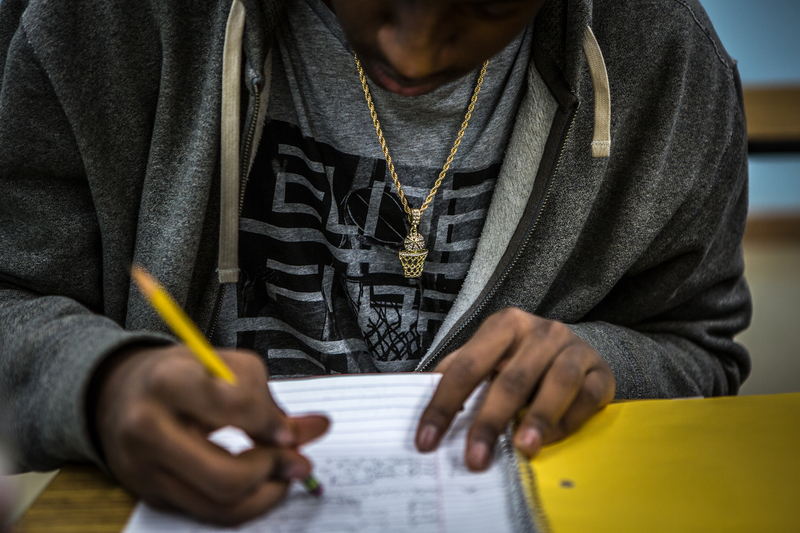 Jaivon Felton, 17, solves a problem during math class at Northwestern High School on Feb. 22. 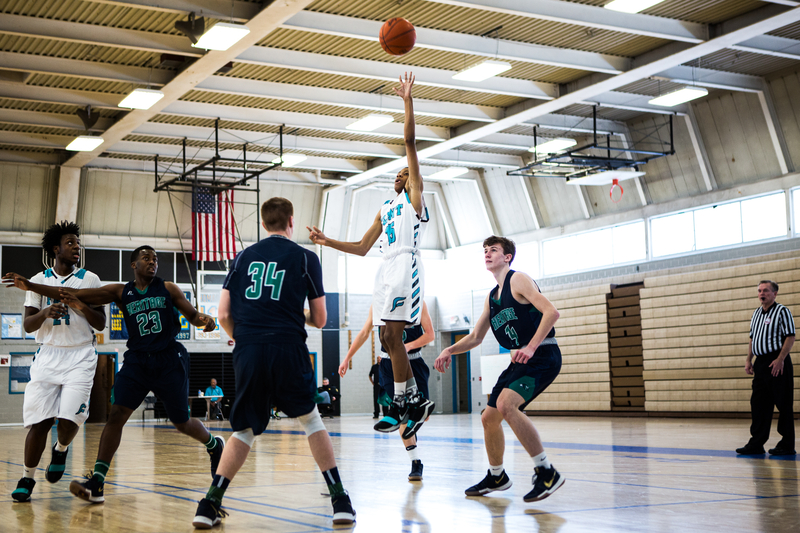 He wants to play ball in college while studying to become an engineer. 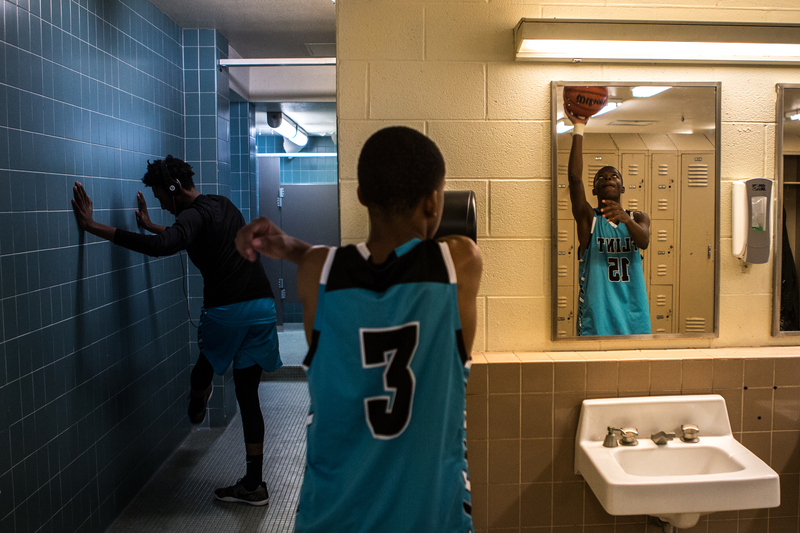 Jakelveon Jackson, 17, drinks from a water cooler next to the drinking fountain during halftime at Southwestern Academy on Feb. 17. 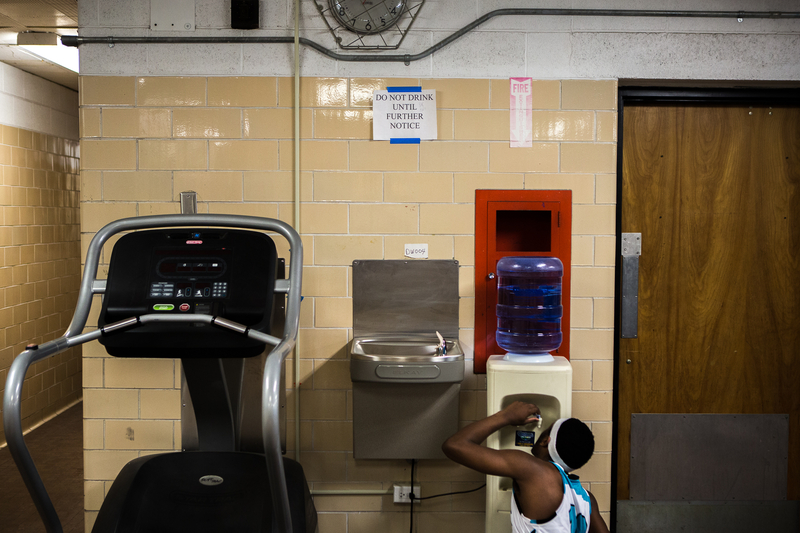 The water in Flint has not been safe to drink for four years because of lead contamination. 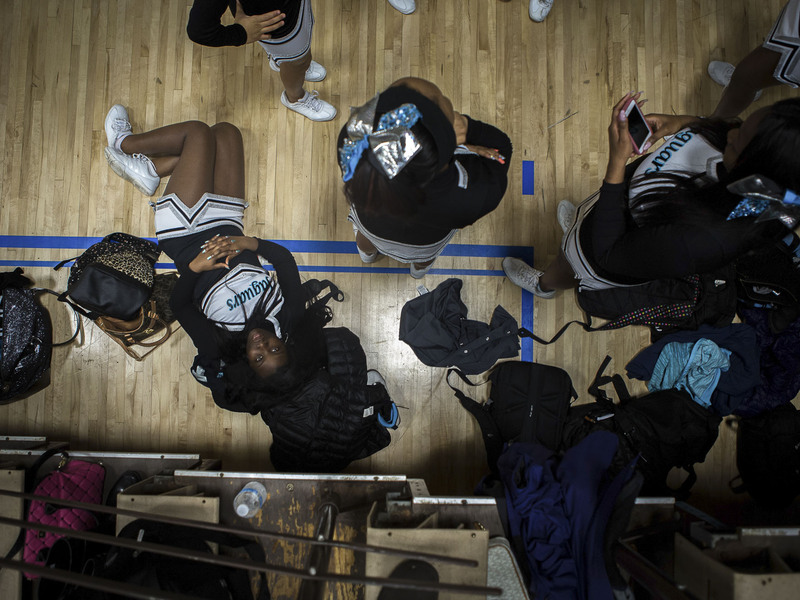 Jaguars players warm up in the locker room before a game in Davison, Michigan, on Feb. 18. Coach Cory Hightower tries to lift the spirits of his team at halftime after a losing first half. 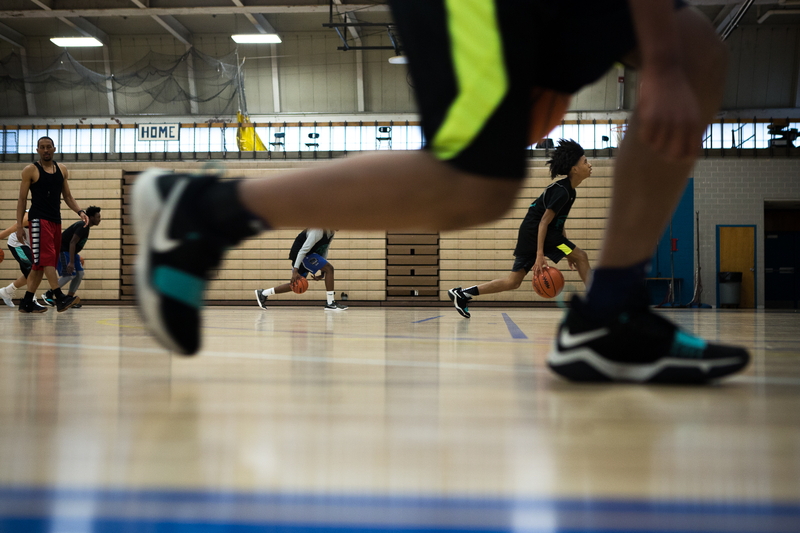 Montae Moore, 15, of the JV Jaguars, takes part in a dribbling drill during practice at Southwestern Academy on Feb. 21. Kobe Lemon, 16, left, and Trey Huddleston, 18, prepare for a home game on Feb. 17. 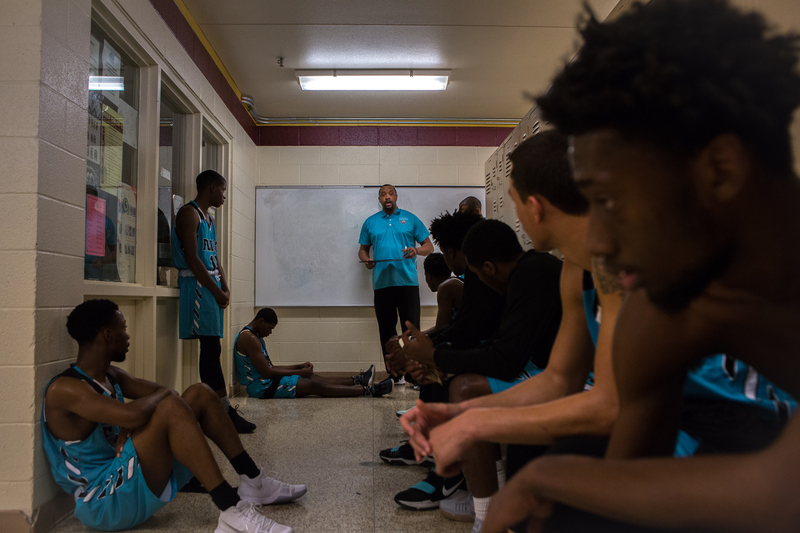 The two had to call teammates with minutes remaining before the game to get enough players to show up so as to not forfeit the game. 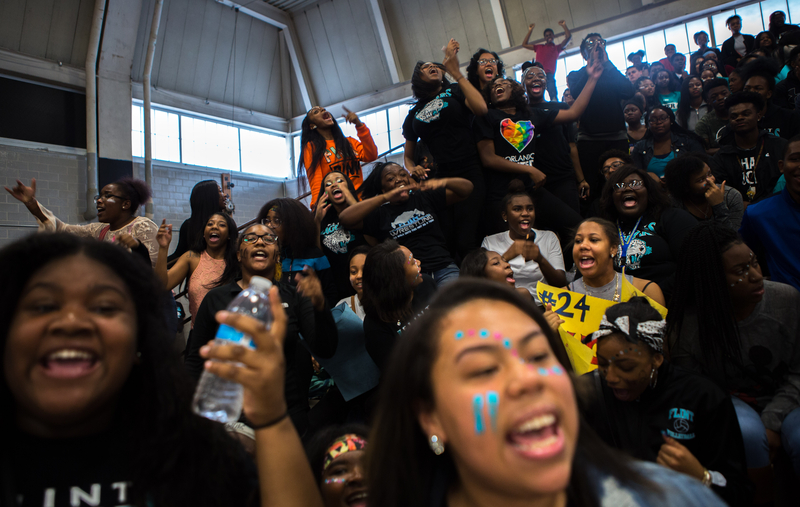 Students from Northwestern High and Southwestern Academy come together for their first pep rally since the two schools joined their athletic programs to create the Flint Jaguars on Oct. 14, 2017. Northwestern has since announced its closure at the end of the 2017-18 school year. Kobe Lemon, 16, jumps for the ball during a Feb. 18 game at Southwestern Academy. Jaguars cheerleaders prepare for a home game on Feb. 21. From left: Ken Helbert, 16, Dana Homes, 15, and Teavon Rushin, 16, who were suspended from the Jaguars for disciplinary reasons, still come to watch every Jaguars game and cheer on their teammates. 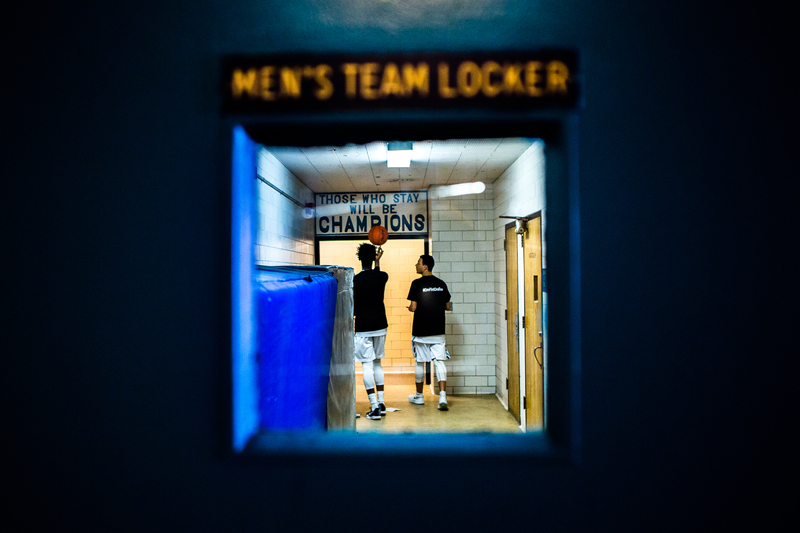 George Barns, 18, left, and Trey Huddleston, 18, head to the locker room before a game on Feb. 18.